Innovative gameplay that comes from exploration, creative puzzle-solving and interaction. Single-player game with simple controls: Move, Attack, Interact and full character movement within the environment. What time is it? It’s time to crack a case! 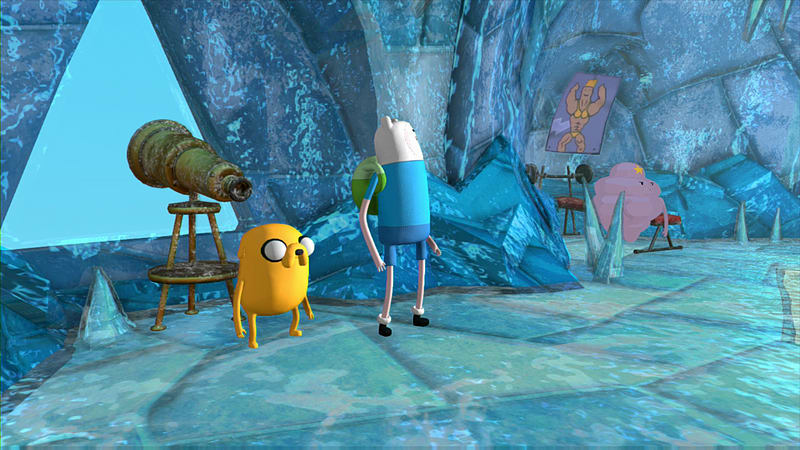 Adventure Time: Finn and Jake Investigations is an all-new, real-time, fully 3D action-oriented twist on the classic story-driven graphic adventure game. 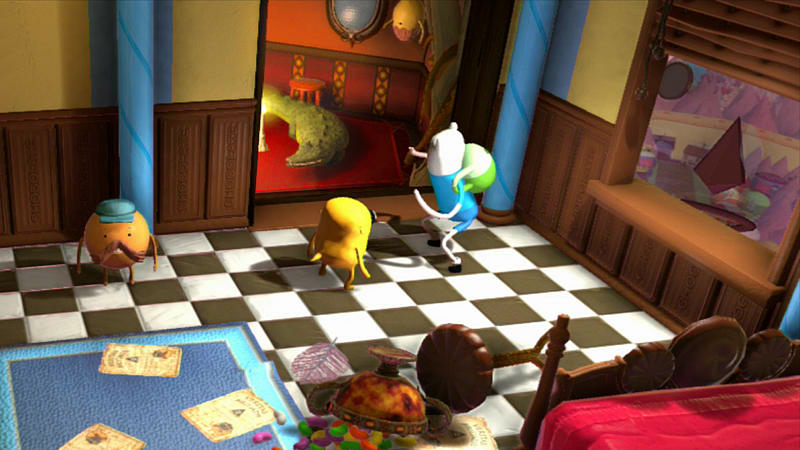 At the start of the game, Finn and Jake decide to carry on the profession of their parents, who were Professional Investigators. Confronted with mysterious Land of Ooo disappearances and strange events, players will interview colorful Ooo inhabitants, dispatch evil doers in fast-paced combat, solve mind-bending puzzles, explore secret and familiar locations, and genuinely feel as if they have stepped into their own personal episode of Adventure Time. Playing as Finn, with help from his best bro Jake, players will encounter an assortment of new and fan favorite characters from the show, including BMO, Abracadaniel, Lumpy Space Princess, Ice King, Gunter, Magic Man, Lemongrab, Tree Trunks, Starchy and more! 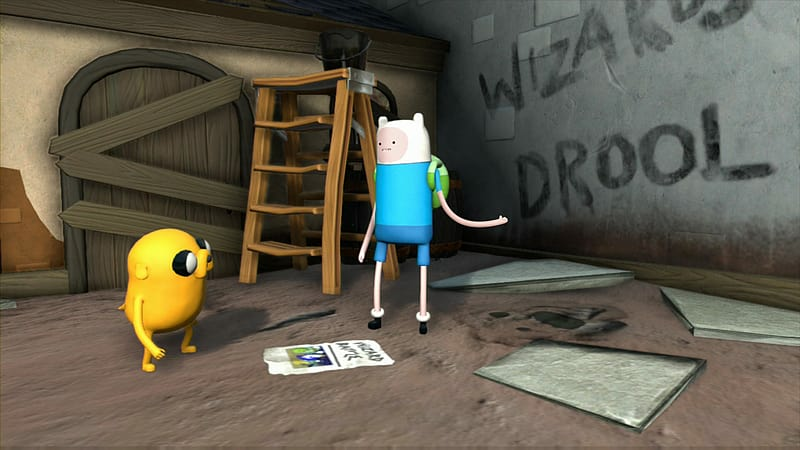 The world of Adventure Time comes to life through amazingly cinematic 3D and voiceovers from the original cast. Sleuth your way through five cases set in the Land of Ooo, each of which plays out a separate story like an episode of the show. Are these cases related? If so, what do they all have in common? 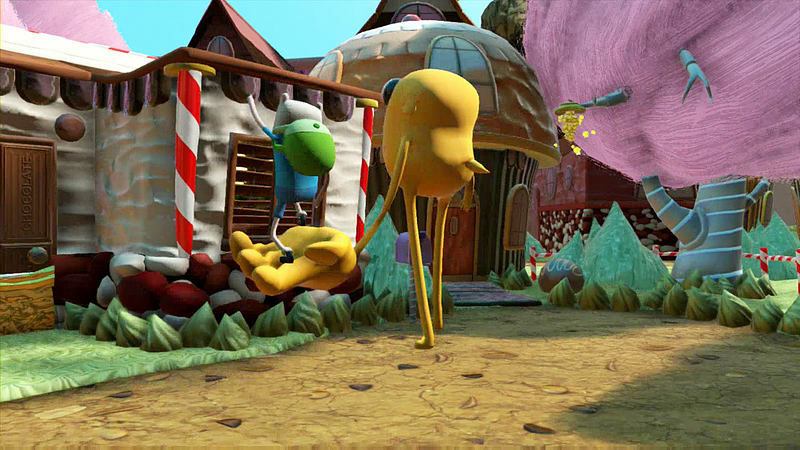 Play in an interactive Land of Ooo – between chapters players can embark on activities to collect stuff, find treasure, engage in more combat, poke around the Treehouse and other locations and talk to many familiar characters. Characters come to life with voiceovers provided by the original show cast.